Suffer an Injury From a Dog Bite? Dogs are “man’s best friend” as they say. They are always happy to see us, provide much-needed companionship and love us unconditionally. That being said, they are still animals with animal instincts. Otherwise friendly dogs can bite a person on accident because they are scared, not necessarily because they are malicious. On the other hand, there are dogs that have vicious tendencies that can escape their enclosures and attack someone. In either case, if the person who was bitten suffers an injury, then he or she has the right to file a premises liability claim to recover damages. 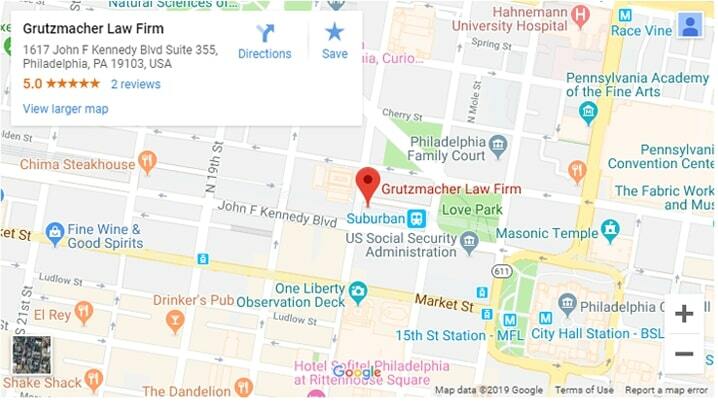 Philadelphia dog bite attorney, Adam E. Grutzmacher, has dedicated his career to helping those who have been wrongfully injured. Since opening the doors to his personal injury law firm in 2005 he has helped several victims receive the justice they deserve, recovering millions of dollars in restitution in the process. In fact, one of his cases currently holds the record as the largest settlement ever awarded in the state of Pennsylvania. Adam knows what it takes to investigate and prove liability. He can build a strong case plan that will better your chances at receiving a favorable outcome, no matter the circumstances. What Happens to Me If My Dog Bites Someone? As mentioned, although dogs are domesticated animals, they are still animals nonetheless. Dogs can revert to their animal instincts when they feel threatened or scared. This can mean that a child sneaking up on a dog in an attempt to play could turn into a situation where the dog bites the child because it was scared. In any event, even if the dog bites someone on accident, the dog’s owner is responsible for its actions and are at risk of being sued. This includes scenarios when a dog bites someone off property. For example, if your dog gets out of its enclosure and attacks someone, causing them to suffer a personal injury, then the wrongfully injured person has the right to pursue legal action. The best thing you can do in the event that your dog bites someone is to stay calm and be attentive to the injured person. This is the best way to avoid a future lawsuit. Immediately following the incident, confine the animal, offer to take the injured person to seek medical attention and pay for his or her visit. Do not leave the scene (this is just as illegal as a hit-and-run motor vehicle accident) and take responsibility. This is often the best course of action. If the person still chooses to pursue a lawsuit, then it is in your best interest to call an attorney yourself. Philadelphia dog bite attorney Adam can help no matter which side you are on. What Will Happen to My Dog If It Bites Someone? This is often the question at the top of dog owners’ minds when faced with this situation — and for good reason. Many states, such as California, are very strict when it comes to dog bites and other animal attacks. In fact, there are “strict liability rules” in place. This means that dog owners are almost always held responsible for their animal’s actions. However, cases in which the dog attacked a burglar are special circumstances that are investigated and dealt with differently and on a case-by-case basis. In Philadelphia, a dog can be impounded — or even euthanized — depending on the severity of the injury. It will likely stay quarantined, out of the owner’s care, until legal proceedings are concluded and a verdict has been reached. Please note that the dog’s time in quarantine, as well as the euthanasia bill, will be considered the owner’s responsibility. That all being said, Pennsylvania does not have strict liability laws in place and a dog owner can often evade responsibility for a person’s injuries if the dog’s owner can prove that proper measures were taken to confine the dog either by leash or enclosure. For this reason, it is highly recommended that you seek an experienced Philadelphia dog bite attorney to help form your defense. Whether you are a dog owner trying to save your companion or a victim who has been wrongfully injured, Philadelphia dog bite attorney Adam can help you form a strong case. He has been representing fellow Philadelphians for over a decade, helping them secure millions of dollars that will help them recover properly. He can help you as well. If you would like to talk with Adam before making any final decisions, he offers free consultations. During this initial meeting, you will be able to sit down with Adam and discuss your case in detail. He will, in turn, be able to give you his legal advice on how to proceed and what your options are. Call (215) 261-7975 or contact us online to schedule your consultation today.